Messing around with some jazz brushes work. A few trades, a little solo, good times! Live from The Dunderberg Gallery in Gilbertsville, NY, one of John's original compositions, "Pass Junk". January, 2018. Live from The Dunderberg Gallery in Gilbertsville, NY, one of John's original compositions, "Buddha". January, 2018. ​Another great morning working with kids and parents at the Victoria Public Library, as the 2017 Victoria Bach Festival presents Graeme Francis' "Big Bang"! One part drum circle, one part educational outreach, this interactive workshop with young children focuses on getting kids excited about rhythm. If you're interested in bringing this or any of my workshops to work with your group, please contact Dr. Francis here. ​Live performance tracks from the GF Trio with vibraphone superstar Ed Smith and my South Texas Jazz guys, Doc Watkins (piano) and Mike Porter (bass). 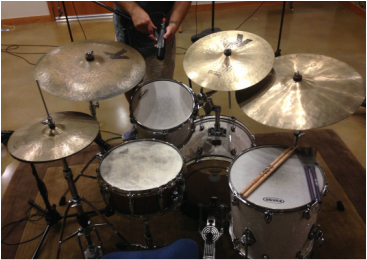 These were recorded live in concert at the National Conference of Percussion Pedagogy, hosted by UTSA in May 2015. Upon the Awful Tree - written and directed by Matthew Diekman, with score by Matthew Dunne. 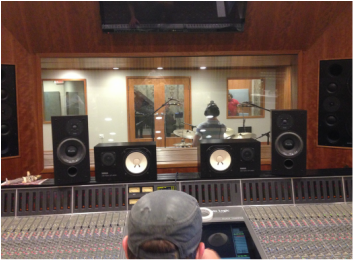 It was a blast recording the percussion parts for this short film with Sherry Rubins at the UTSA Percussion Studio. Happy Tragic Death - this is a short by writer and director Ying Liu, for which I wrote and recorded the soundtrack. You can stream the video here. Check out this sneak preview of the upcoming album from the Brent Watkins Trio, to be released by LiSem Records in 2016. This vintage mono mix comes courtesy of Chris Cline. Doc Watkins, piano; Brandon Rivas, bass; Graeme Francis, drums. GFpercussion's SoundCloud page is now up and running, with recordings of yours truly on all manner of percussion instruments. Here's a current listing of what you can hear. Click on the track titles below to have a listen. I'll be adding recordings regularly, so check back often. vibraphone (Graeme Francis) and two marimbas (Steven Martin and Dario Osorio). Arrangment by D. Corella, J. White, S. Martin, G. Francis. ​Check out my interview with Austin Chamber Music Center Artistic Director Michelle Schumann, as we discuss the repertory and aesthetics of our program "North Star". Click here for Luke Quinton's concert preview in the Austin American Statesman. ​Doc Watkins and the Disease, live at the San Antonio Artpace Rooftop party, March, 2015. Thanks to KRTU Jazz for the video! ​World premiere of Wayland Rogers' "Homsteaders", for marimba and children's chorus. Inaugural concert of the San Antonio Children's Chorus at the Tobin Center for the Performing Arts. Thanks to Anne Schelleng for the video, and to Oksana Karle for the great photos from this concert. For the live recording of Phillip Glass's "Etoile Polaire" (North Star) at the 2011 Victoria Bach Festival, click here and scroll to the bottom of the page. This is an excerpt from the Schumann-Francis Duo's "Bach Blend" concert, which has been featured several times on American Public Media's "Performance Today, and was named one of Austin, Texas's "Top Ten Classical Music Gems" of 2011.
with guest artist Carter Arrington, guitar. ​UTSA Recital Hall, February 28, 2011.
with guest artists Jake Langley, guitar, and Ed Smith, vibraphone. ​UTSA Recital Hall, November 22, 2011. ​"Like a Ghost", by Leah and the Moonlighters. Recorded live for Austin, TX's ​Infynit Hour, 2010. ​"If It's Not You", by Leah and the Moonlighters. Recorded live for Austin, TX's ​Infynit Hour, 2010.